Rabbi Shragi Senft grew up in Queens, New York, where he attended Yeshiva Tiferes Moshe as a child. In high school and afterwards, he learned in Yeshiva Sha’ar HaTorah, also in Queens. He then moved on to the Givat Shaul neighborhood in Jerusalem, famous home of Angel’s Bakery, to study in the Ner Moshe yeshiva. Rabbi Senft then returned to America, where he married his wife. They settled in Lakewood where they began building their family as Rabbi Senft continued his studies in Beth Medrash Govoha. 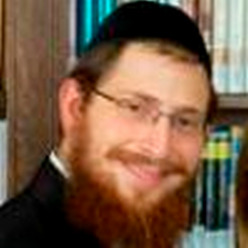 Rabbi Senft moved to Pittsburgh in July of 2012 to join their kollel. At the Kollel, Rabbi Senft enjoys the lively Torah debates which take place among the scholars. He looks forward to showing the members of the community that Torah is more than just textual study by giving them the opportunity to observe and experience how fulfilling, enriching, and enjoyable a Torah-true life can be.